This is the summary of consumer reviews for Motorola MBP36 Remote Wireless Video Baby Monitor. The BoolPool rating for this product is Good, with 4.00 stars, and the price range is $189.95-$249.99. 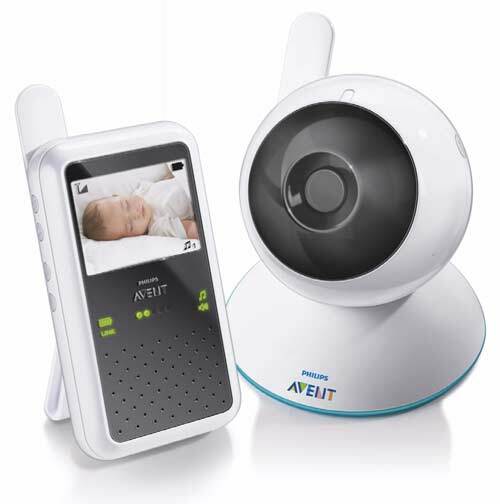 Motorola's MBP36 Digital Audio Baby Monitor is equipped with 2.4GHz FHSS technology for sound clarity, a 3.5" LCD color display for sound and video monitoring, with infrared night vision and built-in data encryption for added security. 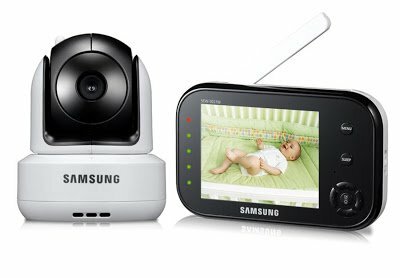 The video baby monitor comes with a range of 590 feet and an out of range warning indicator. 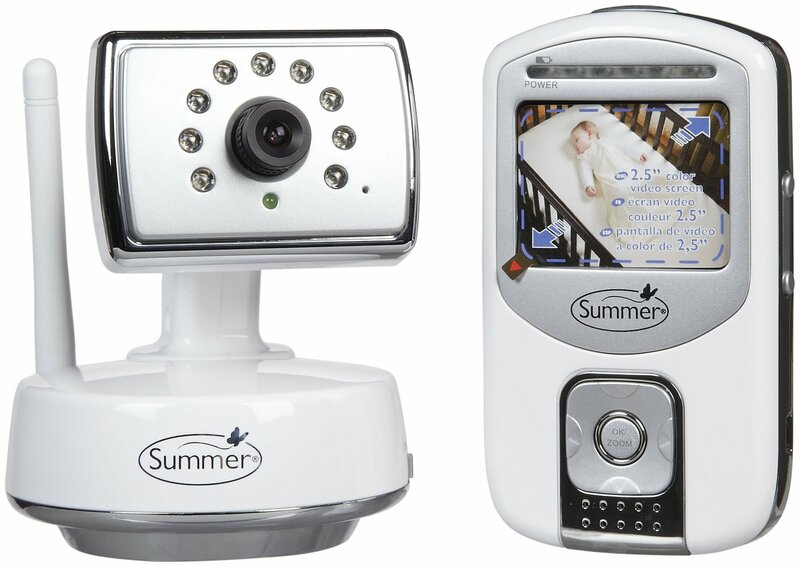 Some other features include – infrared night vision; remote pan, tilt and zoom function; two-way communication with high sensitivity microphone; volume control; 5 pre-recorded lullabies; room temperature thermometer; adjustable multi-angle camera to scan the entire room; sound-activated 5 LED lights alert; automatic channel selection and can be expanded by adding up to 4 baby units. 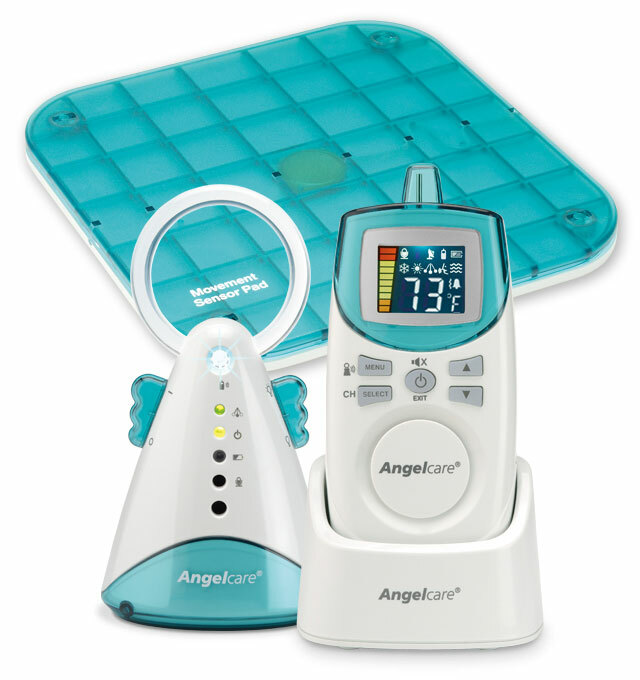 The parent unit is portable and runs on a rechargeable NiMH battery pack and the baby unit runs with an AC adapter only. However, this baby monitor has a very short/poor battery life and takes very long time to charge. The day/night picture quality is not very sharp and clear as claimed and stalls frequently. The power cord used with this device is a nonstandard size and cannot be replaced or purchased separately. The company replaces the cord only if the device is under warranty. 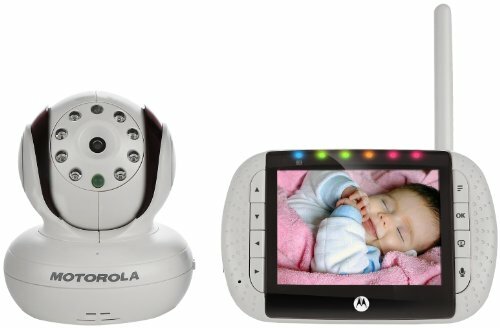 Overall, the Motorola MBP36 Remote Wireless Video Baby Monitor is a pretty good choice for any parents or caretaker, giving the freedom to move around while assuring the child’s complete safety within reach. Picture quality is clear & good. This monitor has great picture quality and works wonderfully. Very clear picture and easy to use. Great picture and sound at the beginning. Still has picture but no sound whatsoever. Else, no higher than three stars for questionable ergonomics, a less than stellar UI and poor picture quality. I thought this was the 'one' until just recently the night picture quality started failing me. The temperature was always off by 5 degrees but I dealt with it. The night vision picture is very choppy, stalls, and you can barely make out where your child is. This monitor wasn't necessarily 'cheap'!! We replaced the battery but then the power cord failed. Motorola will replace the power cord at no charge if it fails while the device is still on warranty, but they won't sell the cord separately. Motorola replaced (entire unit) in 8/2012. I called Motorola to inquire about a replacement cord. Comes with the power cords to plug it in ( some don't). It turns out that the power cord is a nonstandard size so you can't replace it. According to the rep they dont sell the power cord separate, but allegedly they're working on a "solution". It seems a product at this price-point should come with a decent cord. For over $200.00, you should get a power cord that lasts. A better battery or a better cord would have made this a 5 star product hands down. Battery life too short (especially since it takes so long to charge). My only complaint is a short battery life. If you unplug it the screen automatically shuts off after 2 minutes and continues to play sound to save battery. I wouldn't recommend using batteries full time because that's just one more thing you've to buy batteries for lol. Nothing made it show more than 1/2 full battery. The only down side is its battery life is short - the beeping for low battery in the middle of the night is really annoying. If you're OK with audio-only mode on battery power, then the battery will last about 8-10 hours with no video. In battery mode, the screen shuts off after a 1-2 mins to conserve battery, but the screen stays on when plugged in. The battery life on the 1st one I bought lasted a max of 2 hours when not plugged in....I called the company and asked for a battery replacement thinking that mine must be defective. I wish I discovered this monitor earlier (we started using it when my baby was almost 5 months old) because I used to check on him several times during his naps and every time I opened the door he would wake up and start crying. After 8 months the power button broke. Since we need to switch baby's body direction in crib from time to time, the pan/tilt function of this monitor comes very handy. With this monitor he sleeps 2 hours straight without me interrupting his sleep. The zoom is great & I'll love being able to see my new son (due in 4 months) in the crib & then also scan over to the toddler bed to check on my firstborn. within 3 months of having my first one the screen kept acting funny by turning white some and then it went all white completely. My now 9 months old actually naps better with this camera. Love the room temperature display. Love, love the remote pan, tilt, and zoom feature. I love how the camera can scan the room. Thus, there's a light shining and illuminating your child, but the room stays dark. I also love that I can see the room temp. I can move the camera from the hand held part and see babies entire room even in complete darkness. Love the two-way communication as both my kids sleep in the same room, and one of them won't come out even if he wakes up, unless told to. We use a small heater to keep the baby's room temperature higher than the rest of the house, and it's great to know exactly what the temp is in the baby's room. Being able to move the camera from another room is priceless and talk back feature works great. This's great b/c I like to sleep in a very dark room. They aren't soothing in the slightest and the one time my husband played with that feature I'd a hard time getting it to turn off. Sound quality: Oh I can hear the little bugger complain very well ;). Image quality is better than my Summer Infant monitor. adapter cord is pretty long. It's nice to display the time if your baby wakes you. night vision works quite well. Video quality, sound quality, features (love the VOX), the pan & zoom....this's the full package. Parent Unit Picture Quality: Absolutely Great! Parent Unit Audio Quality: Very good. I love the LCD screen with night vision, the room temperature reading on parental unit and the lullabies. 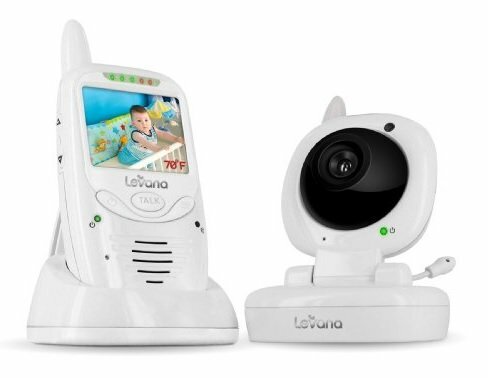 This unit has many outstanding features (pan, tilt and zoom camera, night vision, lullabies you can play into the baby's room, two-way communication, etc.) 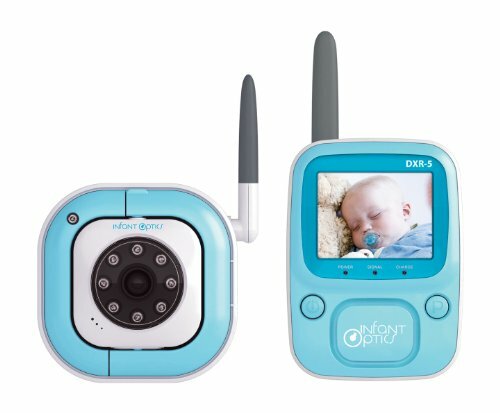 that make viewing your baby easy and fun, however, the best feature is the beep free camera. Parent Unit: A nice, compact size. Overall, the advertised features on this product seem to work very well. Motorola replaced the broken unit, but we went for a week without a monitor after the first unit broke within the first month. 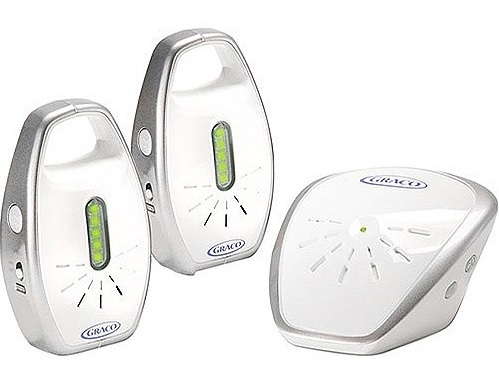 Baby Unit: Unlike our previous unit, the night vision lights used on the baby unit don't give off any noticeable light.